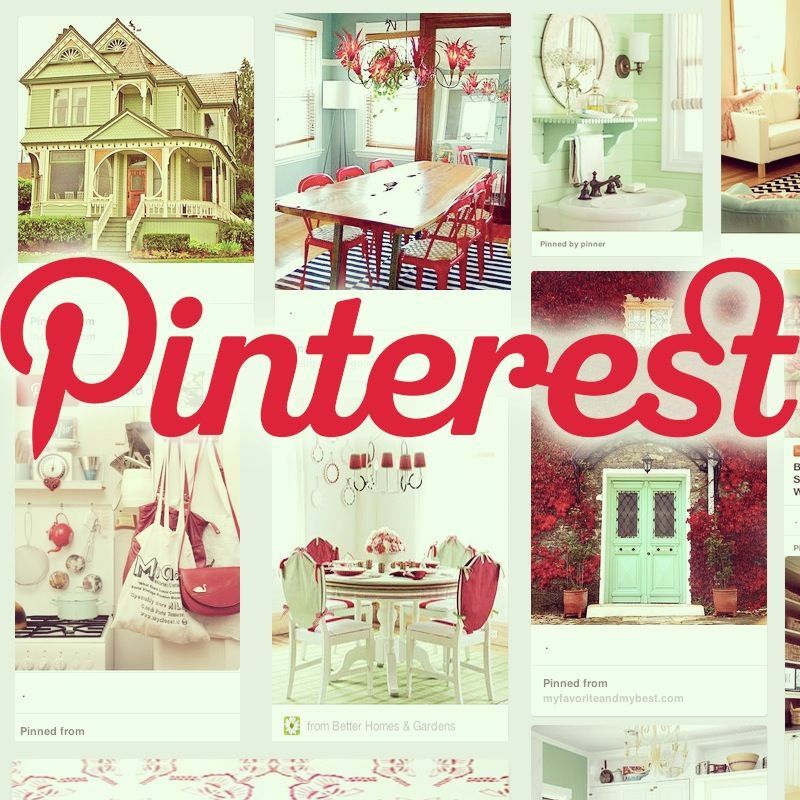 Have you been slow to adopt the Pinterest concept? After all, up until now it’s been just for moms at home passing away the doldrums of a day (pssst, no, it never has been about that). However, now that has all changed, as people are learning it’s so much more. Pinterest is proving to be a moving force for all kinds of businesses, and the Real Estate industry is amongst those feeling the force. If you’ve been late to jump on the band wagon, don’t worry, you can still jump aboard as there’s no such thing as it being “too late”. You’ll likely need some guidance to spring into action whereas, the rest of us early adopters, had to tweak, and twist to figure out the ways for Pinterest success. To get you started, I’m sharing 5 ways that can get you started like a Pro Pinner. Secret Boards are one of the quickest ways to spring into action. Your Boards are where you’ll house all of your images, which we’ll talk about in a bit, along with some of the types of Boards to create. But first, let me reveal a secret. Take a moment to visit my Boards so you can get an idea of some Boards that will suit your fancy to get you started. By now, your mind may be swirling with ideas on what Boards that you’d like to set up. Should you create a Board, place it and then start pinning hundreds of pins to your Board while overflowing your Pinterest home stream with all of these pins shooting them out one after another? Have you ever been on Pinterest when you see a Pinner going to town with pins, one after another to the new Board they just created? Do you enjoy seeing a hundred pins about “All things Red” or “Fairies” or “Door Knockers” or “Things to do in Timbuktu” ? Probably not, I imagine. I know I’m not too crazy about Pinners who clog up my page with so much at once. In fact, when they do, I’ll unfollow them. You don’t want to be unfollowed. So what can you do to avoid experiencing being unfollowed due to the fury of others; the last thing you want to happen when you’re trying to spring into action with Pinterest. Enter Secret Boards. Secret Boards, are just that; “secret” until you decide to announce their presence. There are many uses for secret boards and you may never want to make some secret boards public, yet for our discussion, our plan is to make them public. What’s great about a Secret Board is that you can load them up with all your favorite pins and with one update make it public. Perfect method, don’t you think? You won’t annoy your new found followers and it makes you look like a proficient Pinner. Go ahead and include those things that you’re passionate about on a personal level to add along side your common Real Estate Boards. Perhaps you’re passionate about dogs. You can create a doggie board and load it up with 10 adorable dog images and then, going forward after you’ve made your board public, when you come across a new dog image that you fall in love with you can go ahead and add it or “pin it” to your existing adorable collection of doggies! You’ll do the same thing for your Real Estate Boards that you want to set up. This should be understood, after all, Pinterest is all about IMAGES! Large, appealing, draw you in, magnetic IMAGES! Today we’re in the era of the importance of visual marketing with Pinterest having led the way for us. It’s about having the ability to captivate and engage your audience. Just like high quality images sell homes in Real Estate, high quality images is what your followers and prospective customers want to see on Pinterest. When you upload images to your Boards, pin images from your Real Estate content or pin images from other content, you want to make sure that you’re selecting large images and not the tiny thumbnail that may appear as a choice of an image to pin. A thumbnail, won’t grab anyone’s attention. Just sit back for a minute and remember what really knocks your socks off when you’re browsing Pinterest; it’s likely one of those high quality images that I’ve described, so you need to be in tune to the same thing for your boards. Pinterest is a Social Media platform. What do you do on Social media platforms to have any kind of rate of success? You have good manners, engage and share with others. If you’re just pinning and disappearing, your rate of success in attracting followers and any hope of any Real Estate business from referrals or customers, will be very minimal. Unless of course if you’re already a household name, but even the likes of celebrities could benefit from having good manners too. Who couldn’t benefit from good manners?! When you have Pinners that are re pinning your pins, thank them, let them know that you appreciate all the sharing of your pins that they do, especially if they’re pinning a lot of your content. You can also go by their boards to comment on a pin or share a pin that you like from their boards. You’ll find that many Pinners are the same people that you engage with on other Social Media platforms so you’ll want to carry that good relationship through on Pinterest. Engagement has come a long way on Pinterest, as in the earlier days it was less common, yet I am finding that more and more Pinners are getting in the grove on engaging. If fact, many are blown away when you start to engage with them. Sure, there are some that will just ignore you when you attempt engagement, but hey, that happens anywhere, yet don’t let it cramp your style, just move on to the next happy soul who’d appreciate the camaraderie. Pinterest has got to be on your marketing schedule checklist. If you’re in Real Estate you must be on Pinterest and if you’re on Pinterest you must be diligent. You will find that your target market participants at different times of the day. Your target market will be prospective home Sellers and home Buyers along with other Real Estate professionals; Sellers and Buyers for the obvious reasons and Real Estate professionals for referrals of Sellers and Buyers. You’ll find a mix of all participating throughout the day and into the evening hours, as well. In fact, during the evening hours you’ll find many home Sellers and home Buyers as they have wrapped up a day at the office and now go onto Pinterest to wind down after a busy day. They’ll be leisurely pinning and if home selling and home buying is in their future, you can be sure that your Real Estate pins can catch their attention. If they’re looking to sell or buy in the neighborhood you farm, you’ll know that they’ll be clicking on your neighborhood boards so make them stand out. You will want to plan your week out that will include pinning to your Pinterest Boards by pinning your own content and by sharing the content of others. You will need to pin content that prospective customers will find helpful and/or appealing. You can pin your real estate tips and knowledge, your real estate listings, all about the homes we sell and top it all off by including what makes you tick. (Remember, it shouldn’t be 100% business as you’ll learn what can “tick off” others and that’s when you’re always selling!) People can be easily drawn to those that are most like us. Pinterest makes that very easy to do. Your weekly pinning schedule can reveal what is working by viewing your site metrics to see what pins Pinners like. You will find that Pinterest can be a huge driver to your site. Check your site’s metrics to find out what is working and what isn’t working. You must be consistent, have a plan, always consider new ways to stand out from others, as you don’t always have to travel the same path and never, ever quit on Pinterest. With such a vision, you can be sprung into action on Pinterest before you know it. Happy Pinning! Lastly, if you want to join a great Real Estate Group Board about Tips for Selling Homes, simply click here: “Tips for Selling your Home” and send me an email that you want to join and I’ll send you an invitation. Next: Real Estate Agent’s Guide to Pinning!